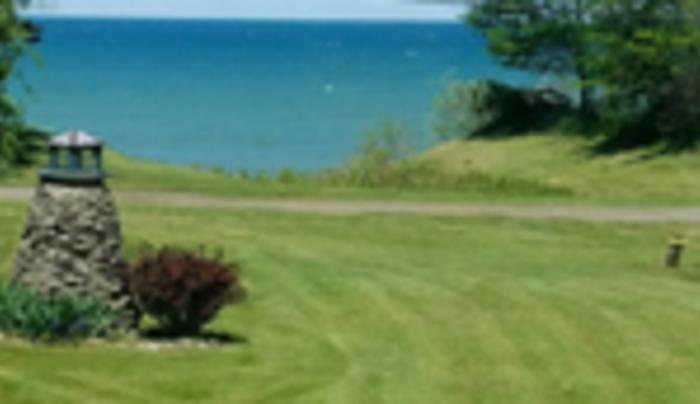 Beautiful 3 bedroom-1 bath, covered porch, kitchen, laundry, fireplace located on Lake Erie. Enjoy walking the beach, sitting on the porch & watch the sunset filled skies over the lake. Minutes to Barcelona & Dunkirk harbors, Wine Trail, Chautauqua Institution, golf courses, Peek-n-Peak, skiing, Lake Erie State Park, fishing, antique shops and much more. Our year round lodging will allow you to enjoy the Spring, Summer, Fall & Winter landscape, which provides breathtaking views of the lake's four seasons. Escape your busy life and relax in the country scenery to also enjoy the wildlife. Provide your own meals in the full kitchen, large living room with bay window for great views of the lake and boats on the water. Sleeps 5 comfortably with 1 queen, 1 full, 1 daybed and plenty of closets and storage areas to feel comfortable whether your stay is just 2 nights or a month or long-term stay. Please email or call to get more details.